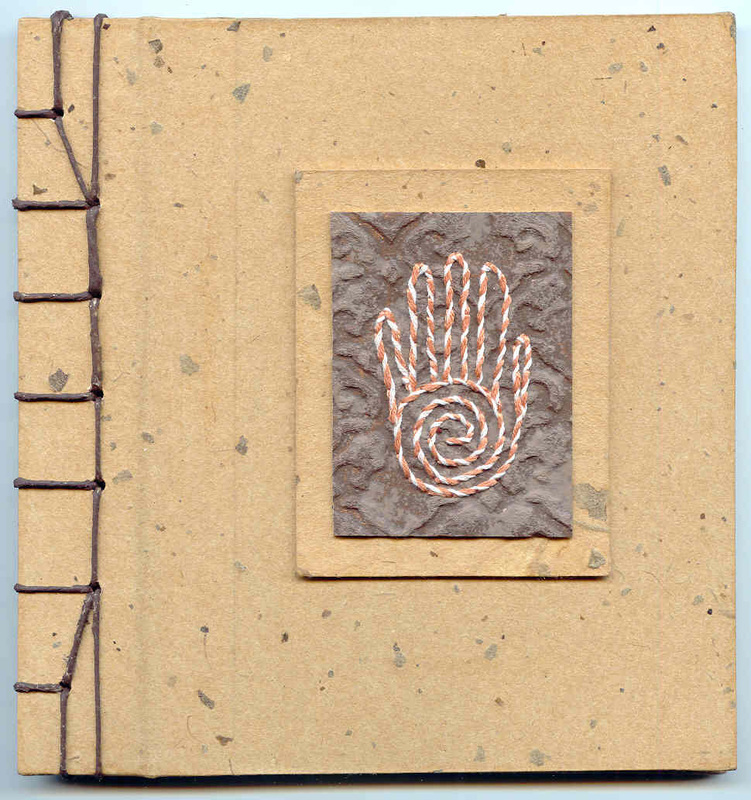 These one-of-a-kind journals are made from beautiful textured Thai or Japanese papers, with hand-stitched hemp or ribbon binding, hard covers and blank pages. 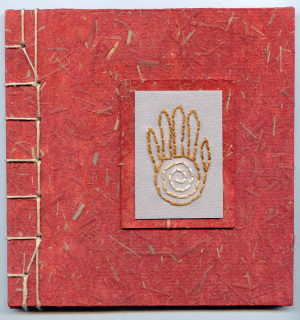 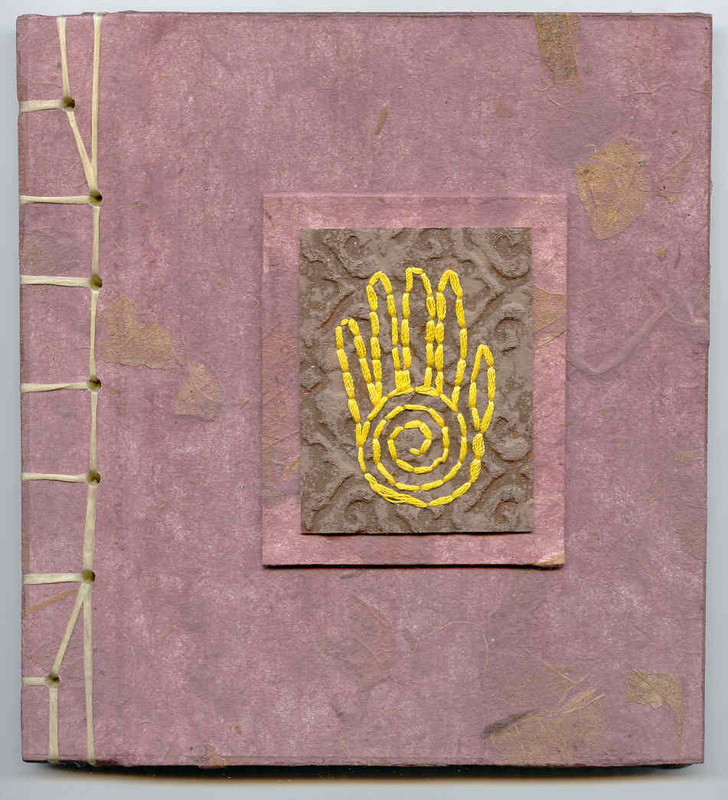 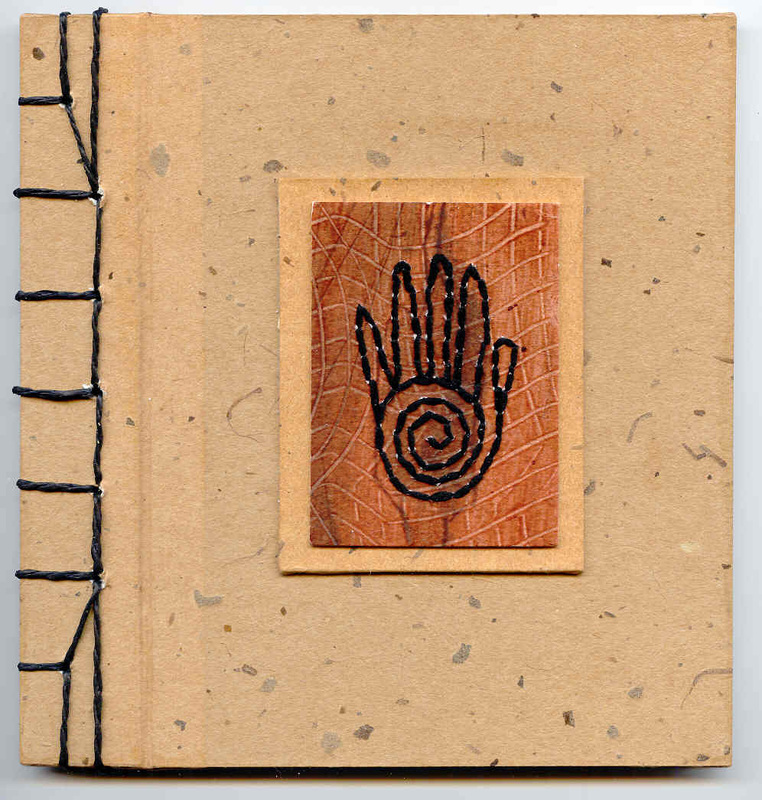 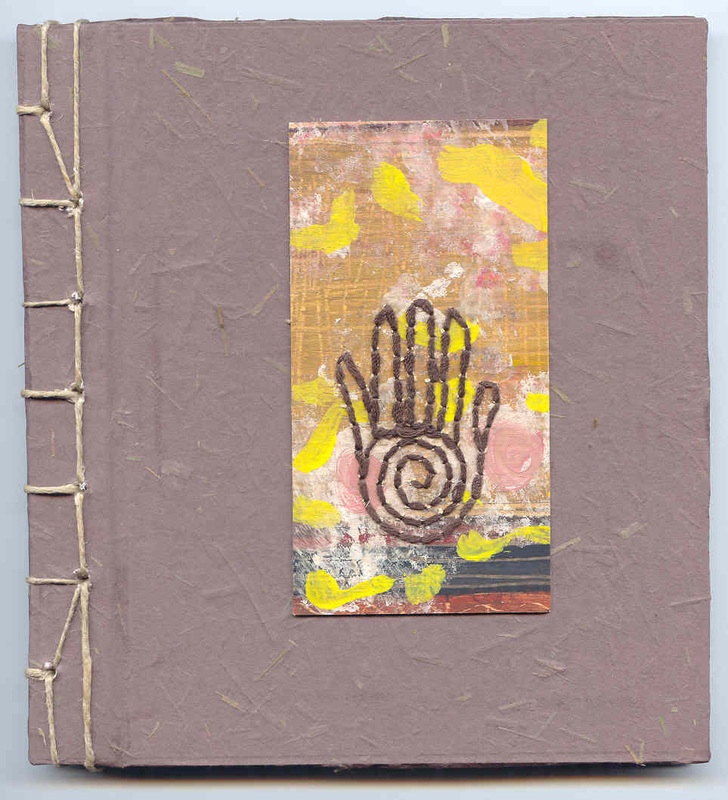 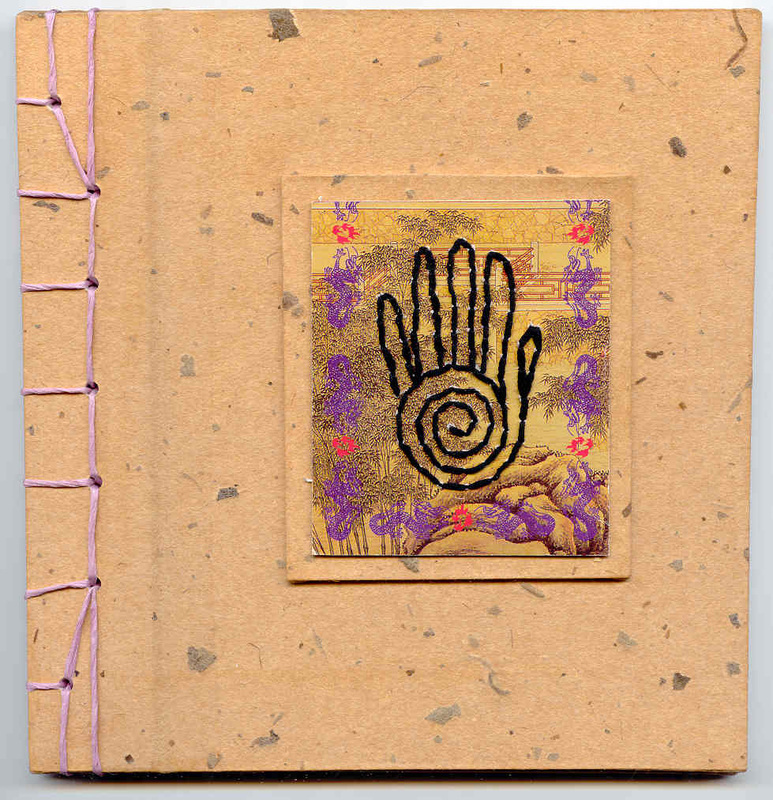 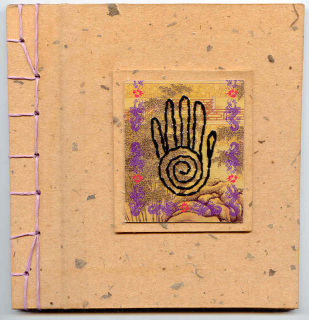 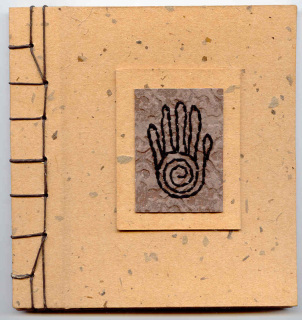 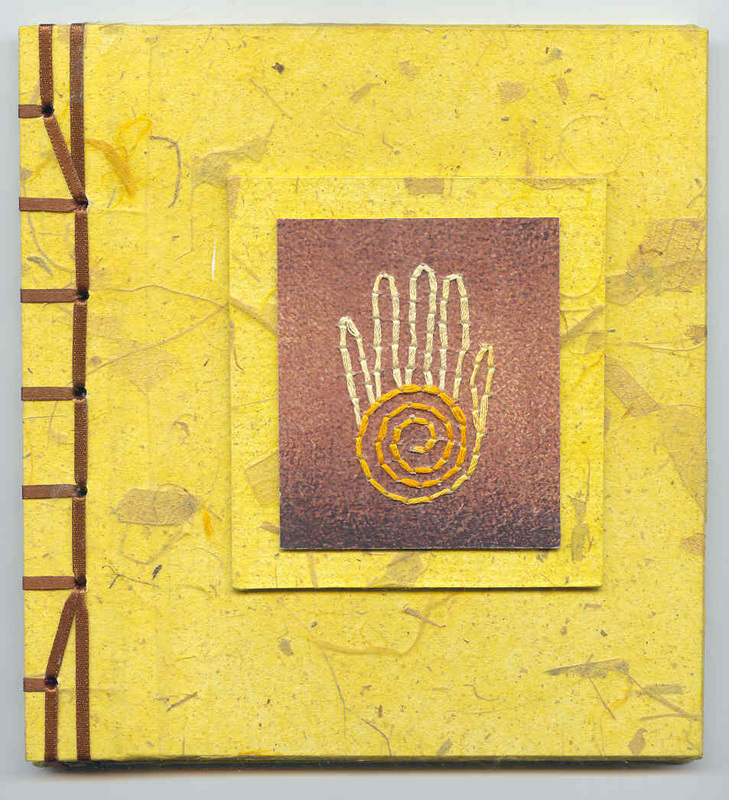 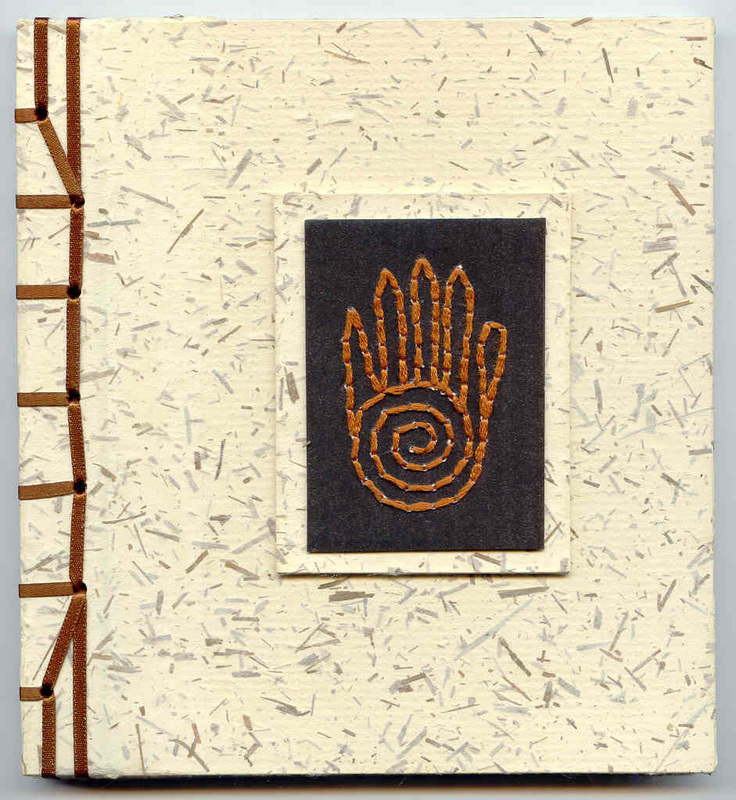 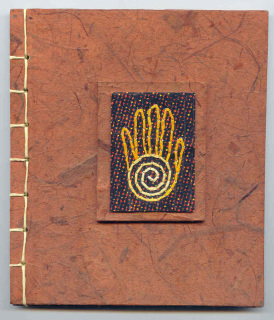 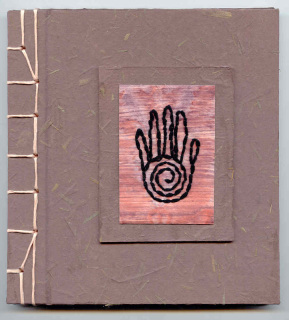 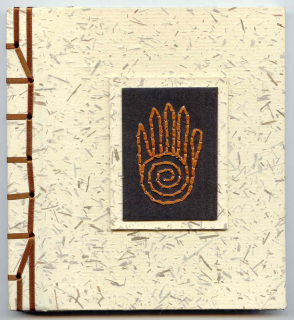 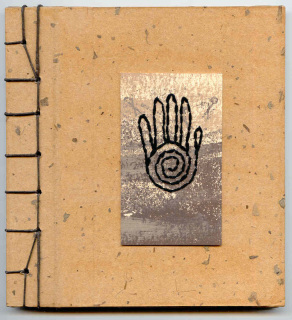 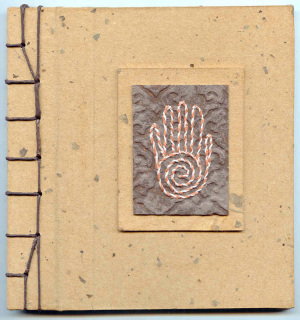 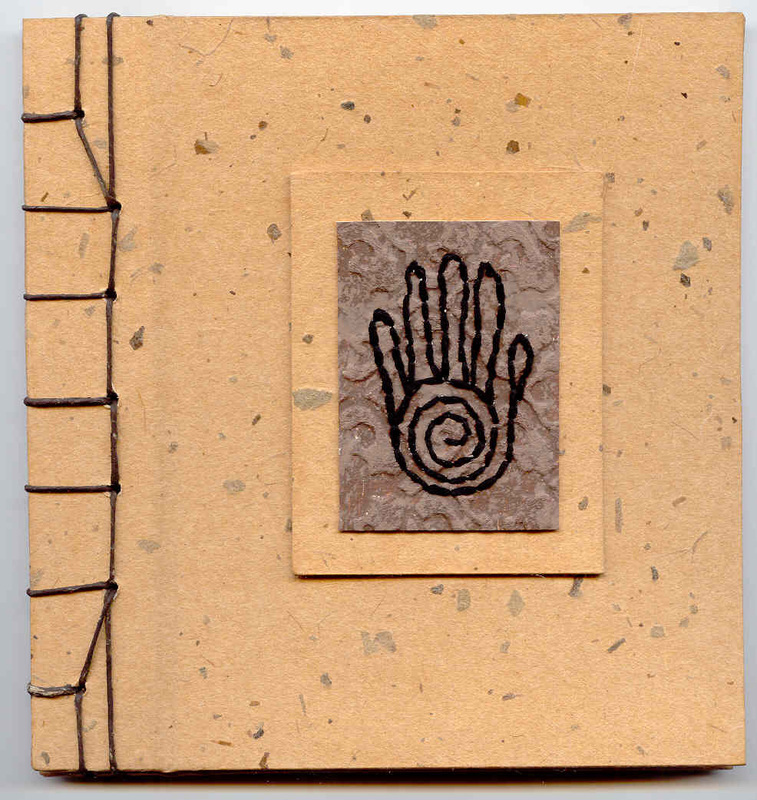 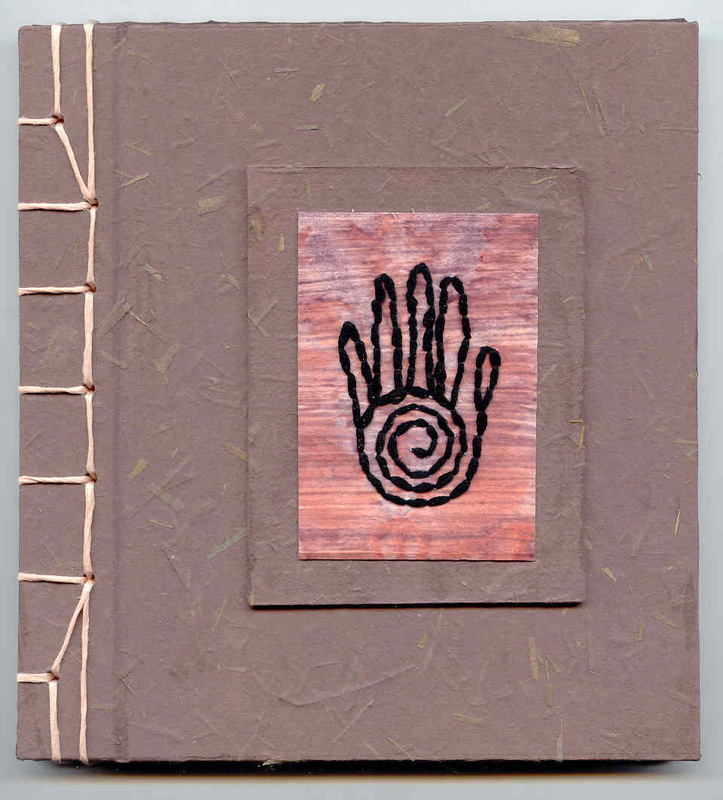 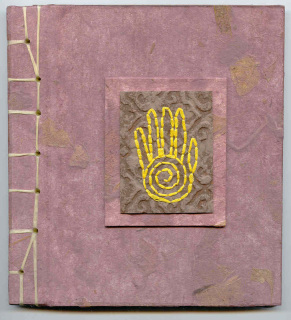 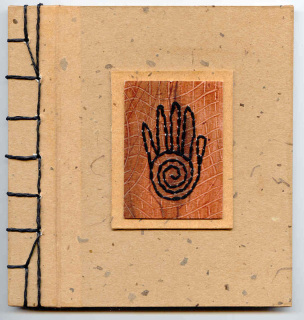 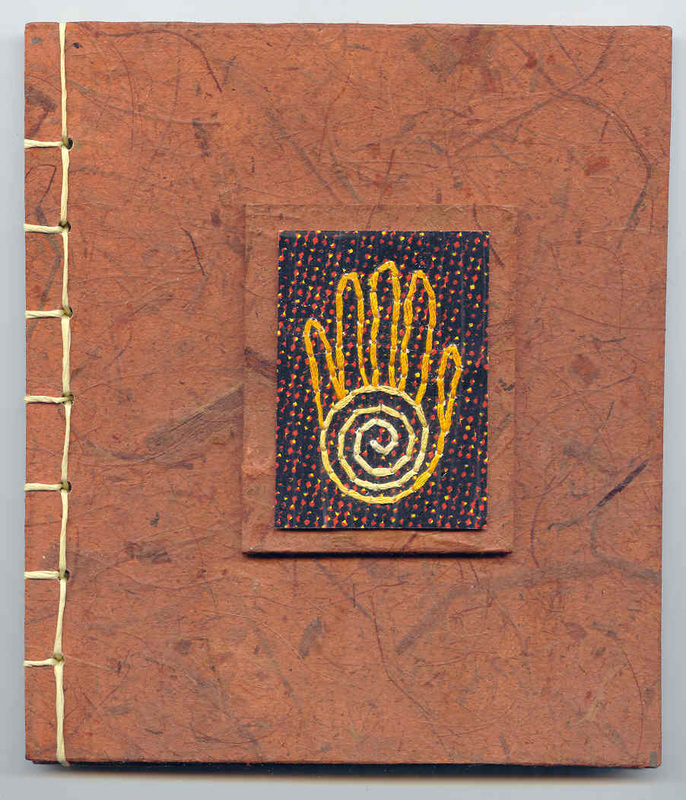 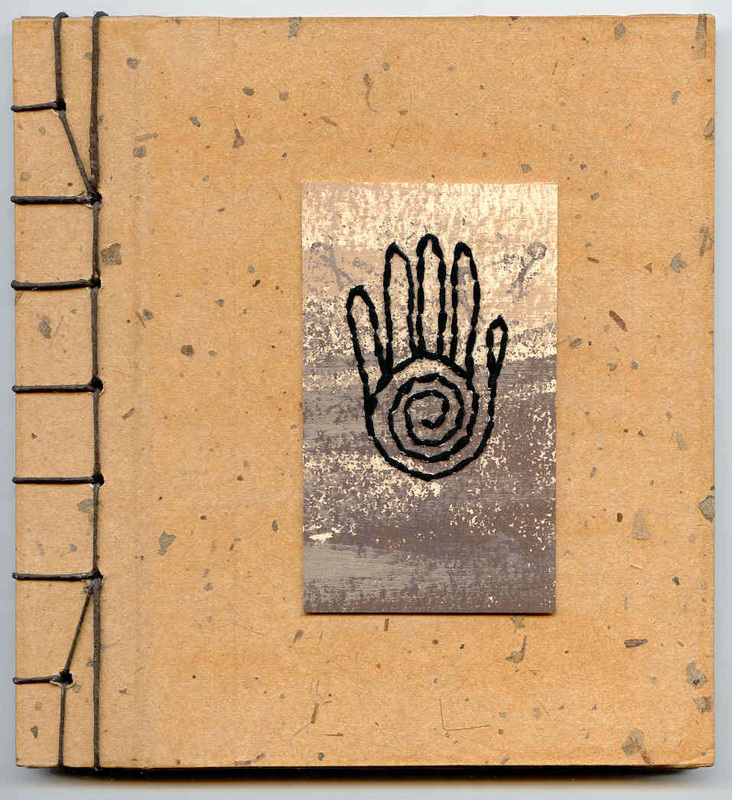 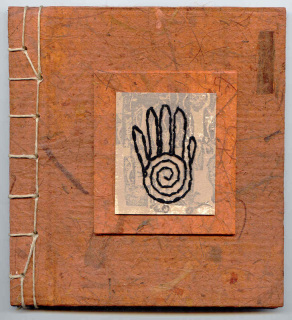 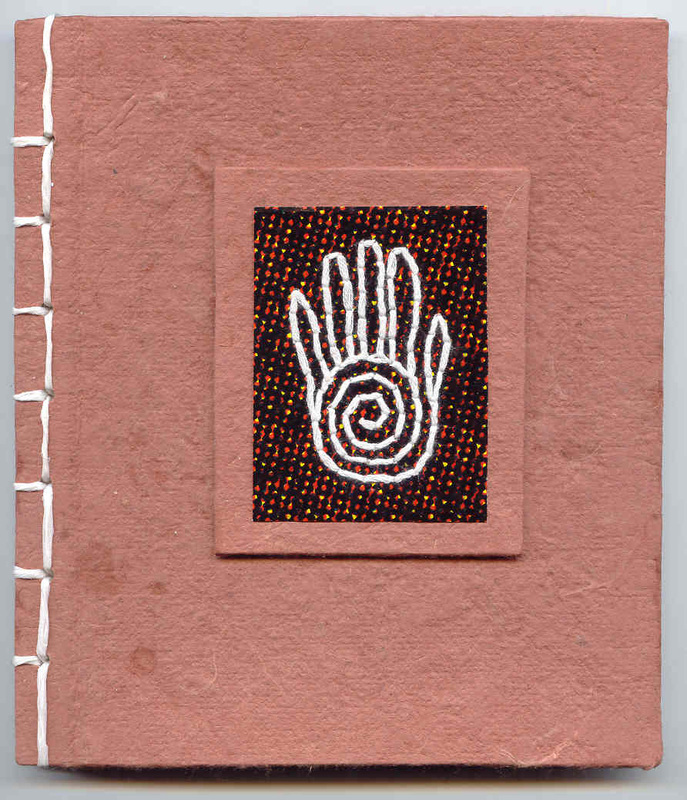 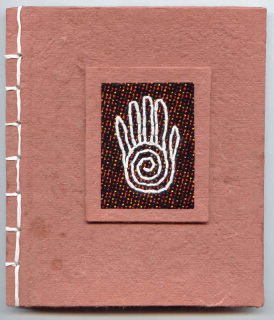 An original embroidery of the spiral-in-the-hand symbol is featured on the cover with mixed media and other elements. 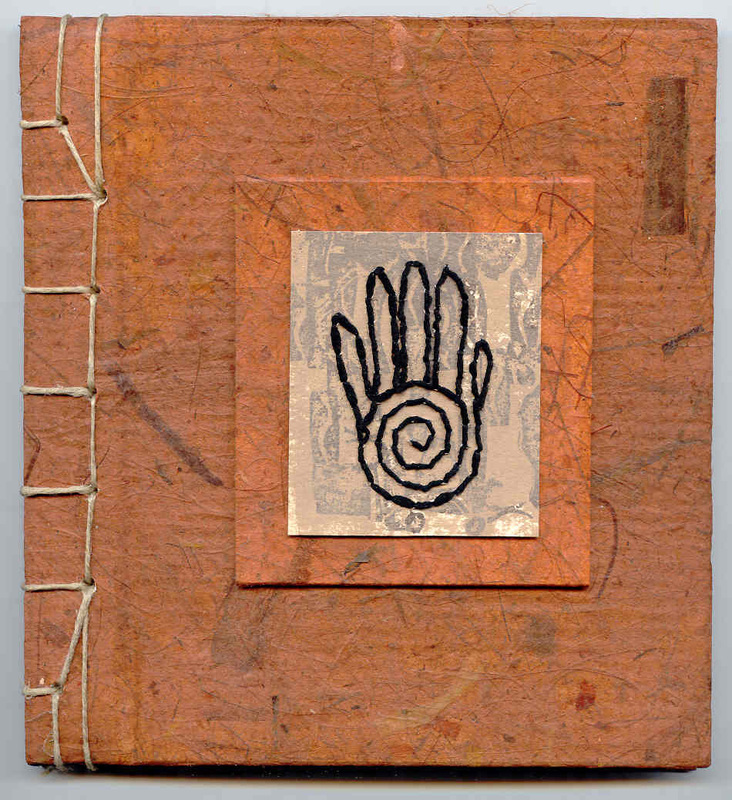 The spiral-in-the-hand is an ancient symbol found worldwide. The sacred spiral symbolizes the cyclic nature of life and the universal pattern of growth and evolution, and the hand represents the creative power of humanity.